Our service has been designed to optimise your collection performance and integrate seamlessly with your current operations, providing an exceptional resident experience. h&f ethical collections is part of a national framework set up by Hammersmith & Fulham Council. This means that local councils can access our ethical collections services without the need for further procurement. We recognise that most councils have collections operations in place. To evidence that our ethical approach improves your current performance, we can undertake a ‘champion challenge’ pilot on a sample of each council debt type. Once proven successful, pilots will be more widely implemented. Performance levels will be regularly assessed against pre-agreed indicators. An account director will be appointed to ensure ongoing collections activity meets the service levels agreed. Our services are charged on an activity basis, therefore you will only ever pay for the services you use. Additionally, the fee structure is contingent, limiting your commercial risk. Innovation is at the core of our continuous improvement programme, ensuring we are consistently adding value for our clients and exceeding residents’ expectations. Our integrated complementary technology ensures early and proactive engagement, allowing residents to contact us using their preferred channel. This increases engagement rates, enhances resident experience and delivers optimal recoveries. 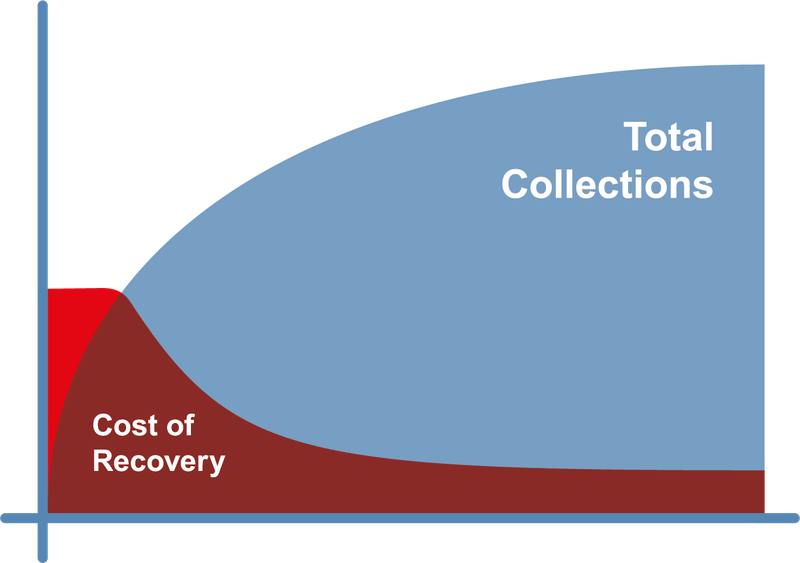 we improve collections and create long-term and sustainable revenue. This graph illustrates how our ethical approach creates a sustainable revenue stream for the council. the total value of arrangements increases over time, creating a predictable and sustainable revenue stream.